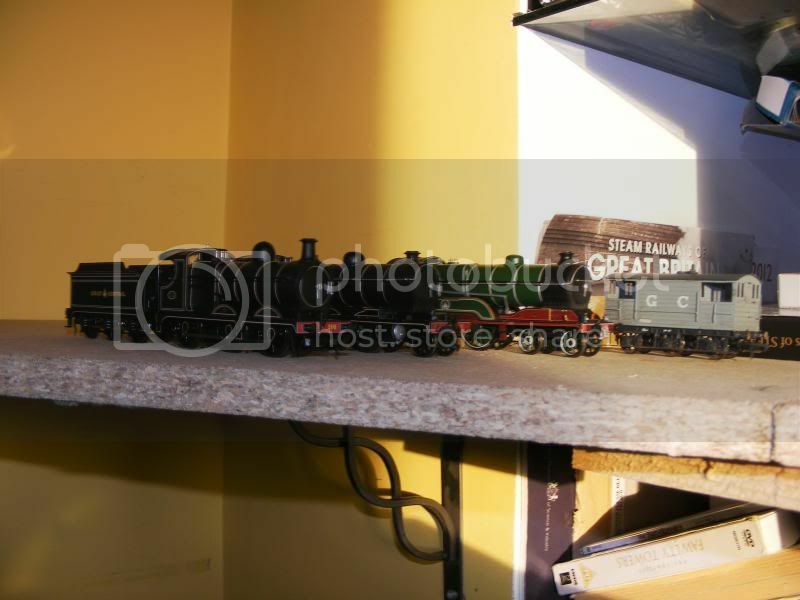 Re: PeterH's Great Central themed layout. I've been working at a few improvements to my model of 506 Butler-Henderson; adding the detailing packs, picking some bits out in silver. 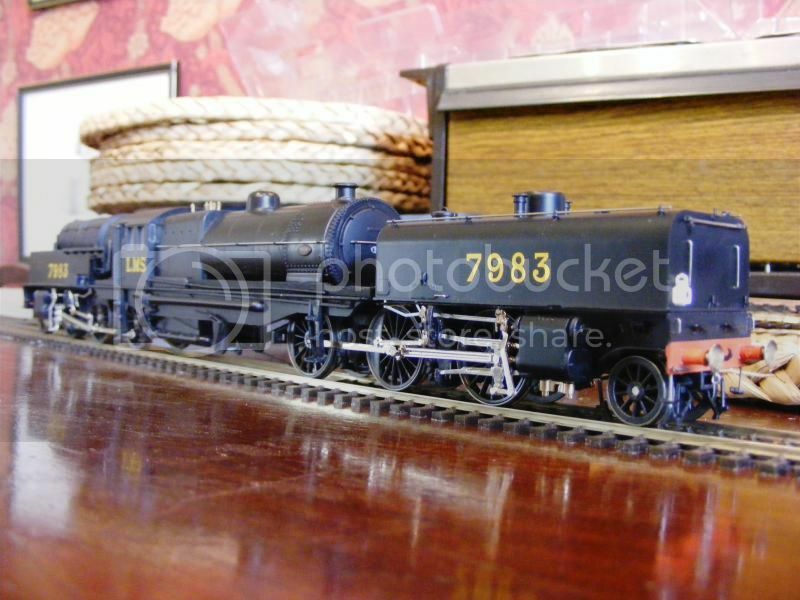 I am painting up a crew for her and coal is ready for her tender. 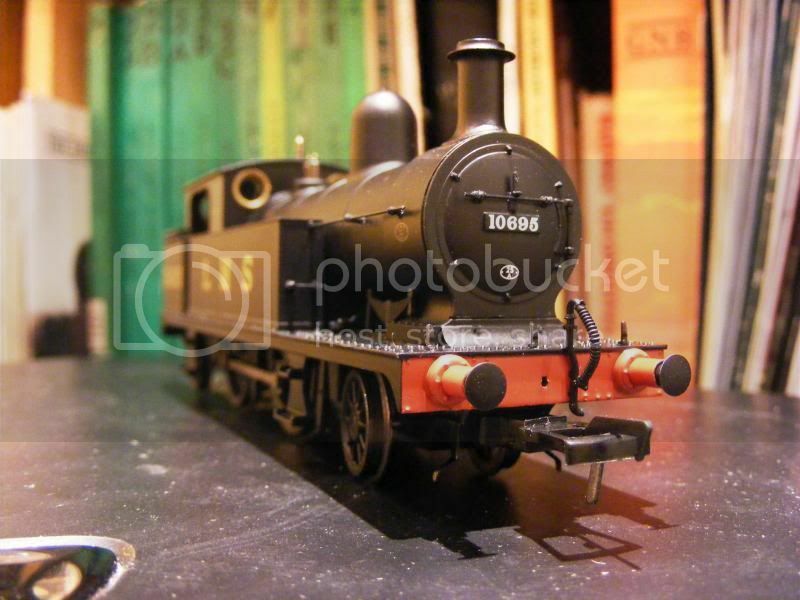 Two photos of the work made to the front of the loco - a before and after shot if you like. There are a few other bits to the front which need doing. The door dart still needs a bit of sprucing up, and a thin silver line needs to be applied around the smoke box door itself - something I am a bit trepid about - that'll require a steady hand and magnifying glass! I am also debating about what shade to paint the coupling. I think a slightly weathered silver sort of colour will look good myself. 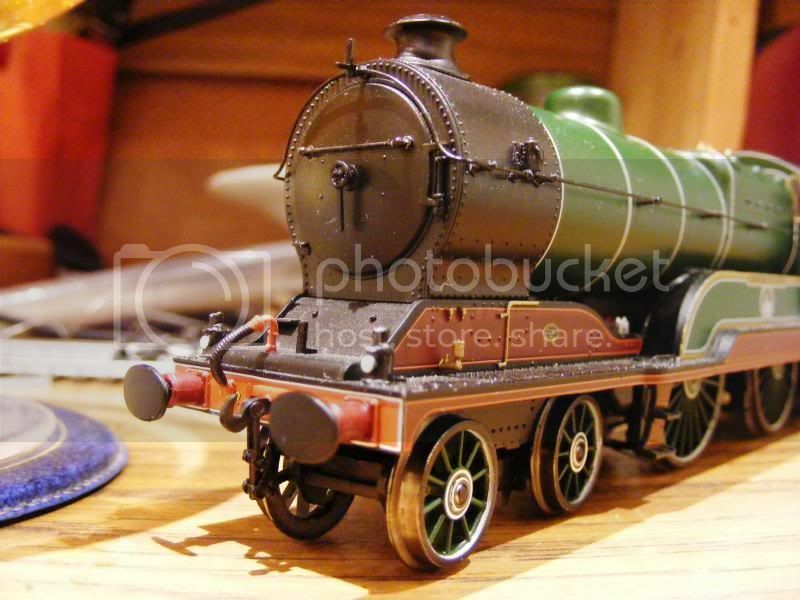 After a failed attempt I've decided that doing the silver band around the smoke box door is too difficult so shall be abandoned. I think it looks leagues better as it is anyway though. 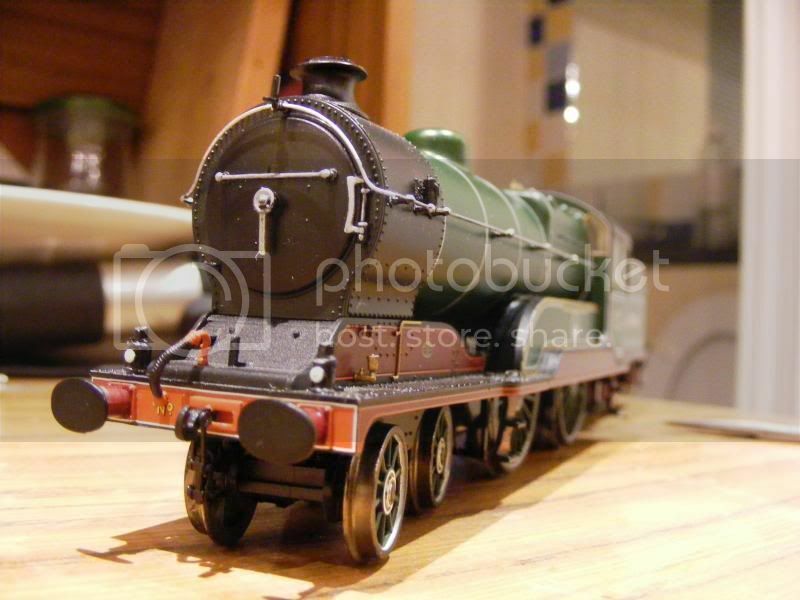 I've also painted the couplings silver as per GCR livery instructions. Next into the paintshop, the 8K! Thank you for the kind comment. 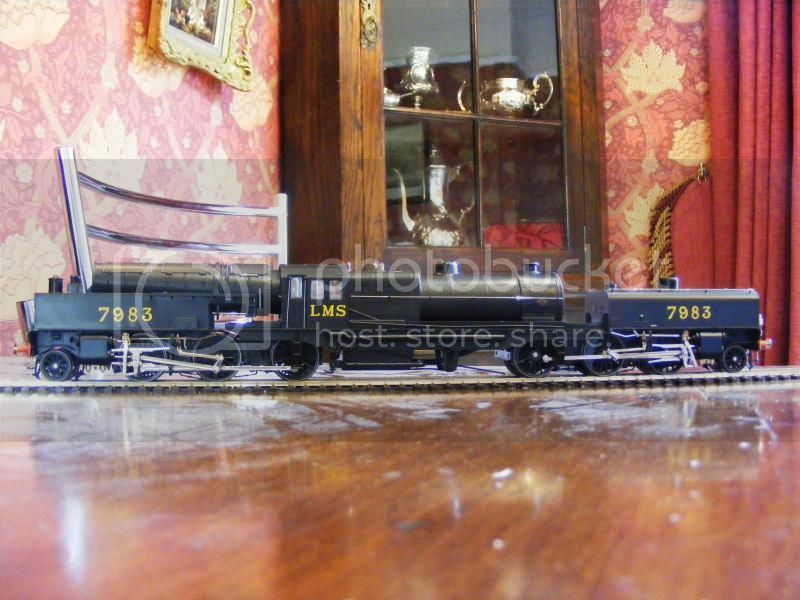 I think it sets off the front of the locomotive nicely, even if I haven't been able to apply the full livery to it. I've also done some work to the 8K of a similar fashion. The newly arrived 9J hasn't got much I can do to it! Still, I'll find something! 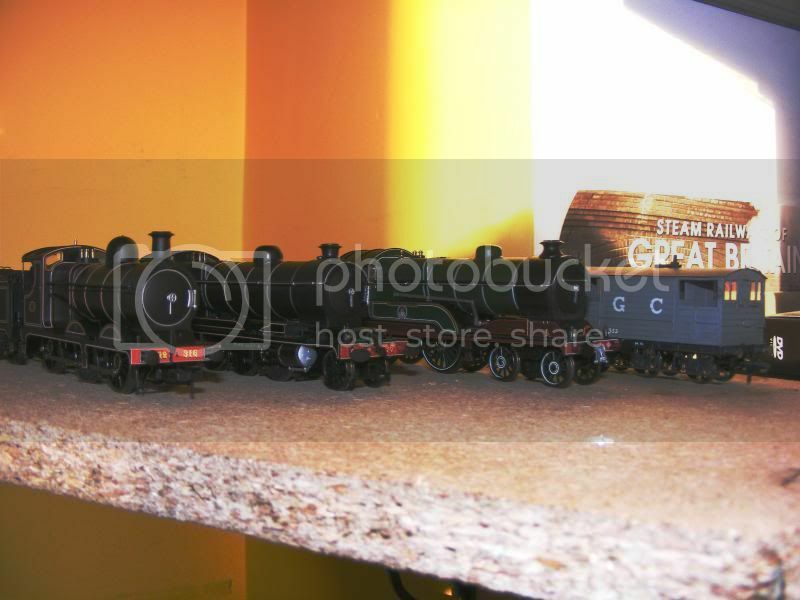 A fine set of GC locos there Peter. I can't imagine there is much you can do to the 9J. 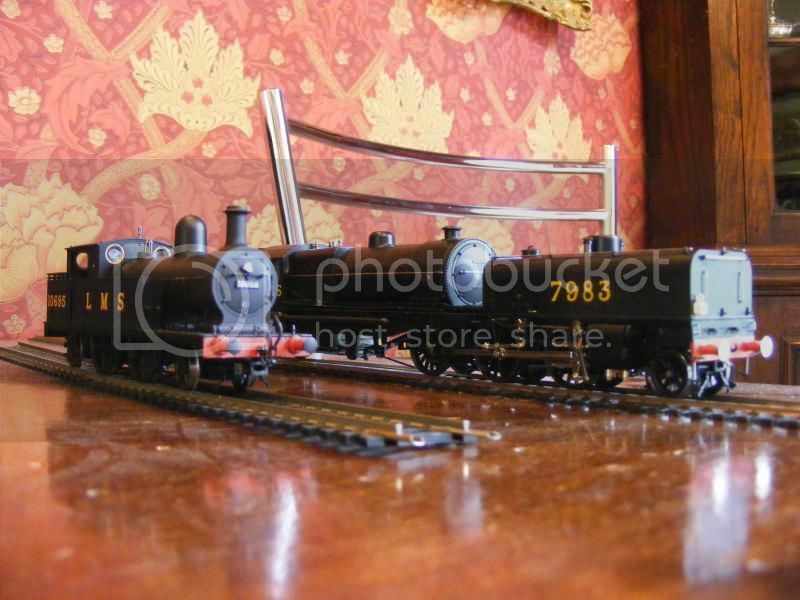 Splendid set of GC motive power there, Peter! New job means I now have some money to carry on with the layout. I bought 2 boxes of Code 75 track at Railex yesterday to start with. A trip down to B&Q or Homebase will provide me with bolts and wing-nuts and I can then start working on assembly. 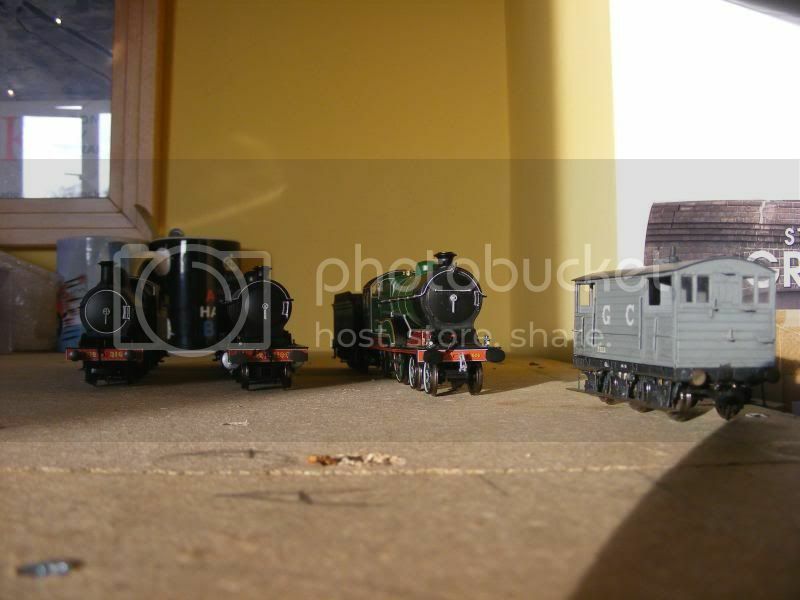 I need to build two more corners as well to complete the roundy-roundy nature of the layout. 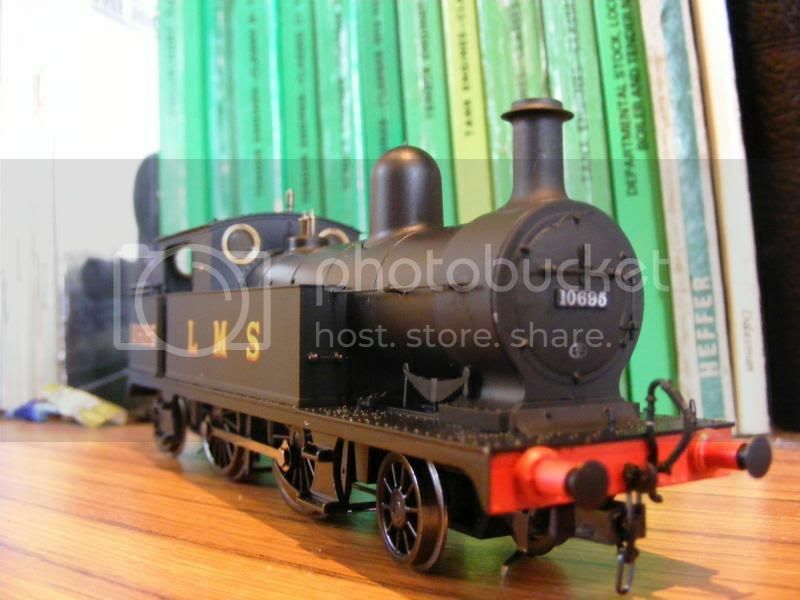 I also had a moment of weakness and bought a model of the excellent Bachmann Lanky Tank in LMS black No.10695. 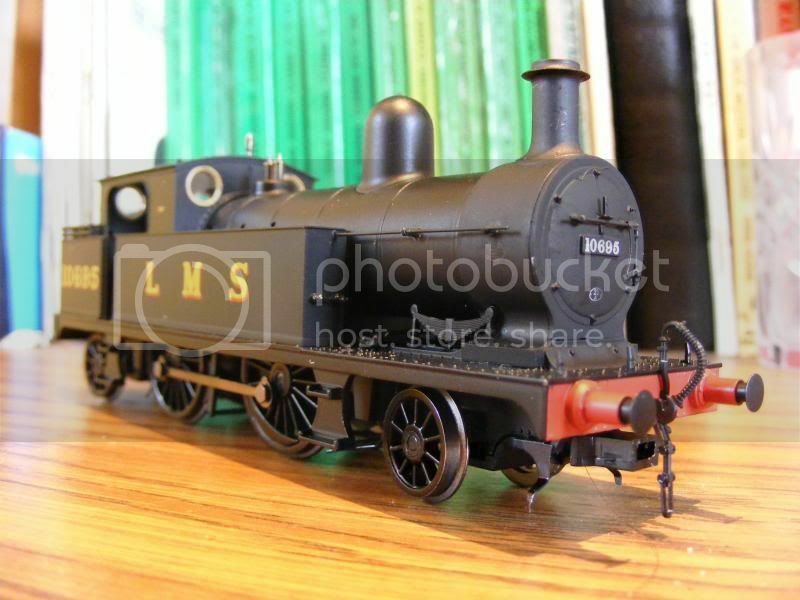 Absolutely lovely looking engine, brilliant model. 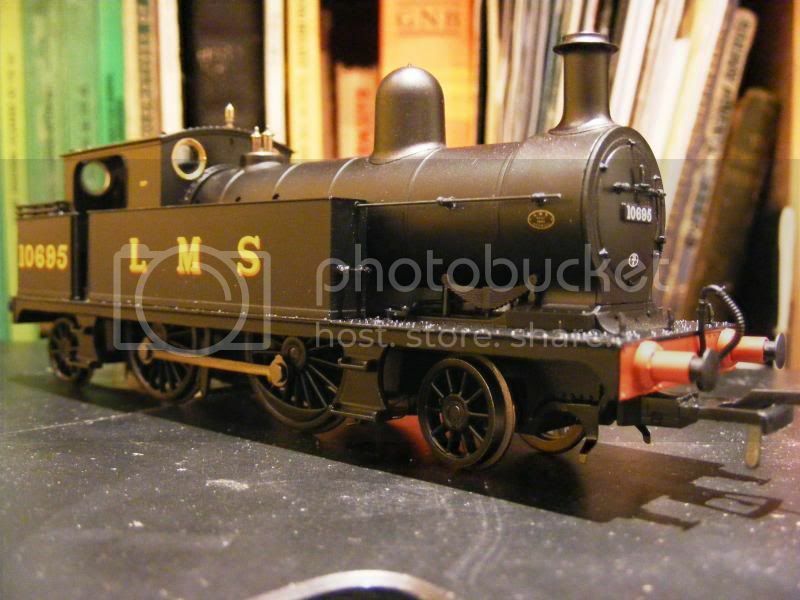 I am probably going to repaint the smokebox, which I have seen done to great effect by Matt W. I also bought a model of the new Midland brakevan in LMS bauxite. I should be carrying on with it later this week/next weekend. You certainly spent more than me... but I spent a bit more tonight haha. 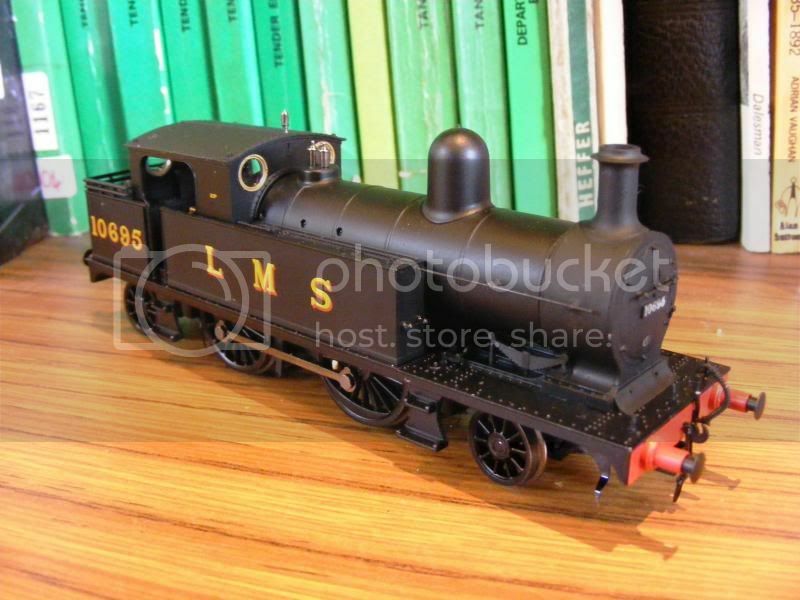 Look forward to seeing your progress Peter now armed with your track and new tank, I hope the adding of Matt black to the smokebox/ top of the running plate helps you get what your looking for, I certainly think it helps break up the vast 1 shade of satin black... least it makes it look used If you like. A bit of work to make the works plate stand out a bit better is necessary but overall the look is good. Photos always show up imperfections! 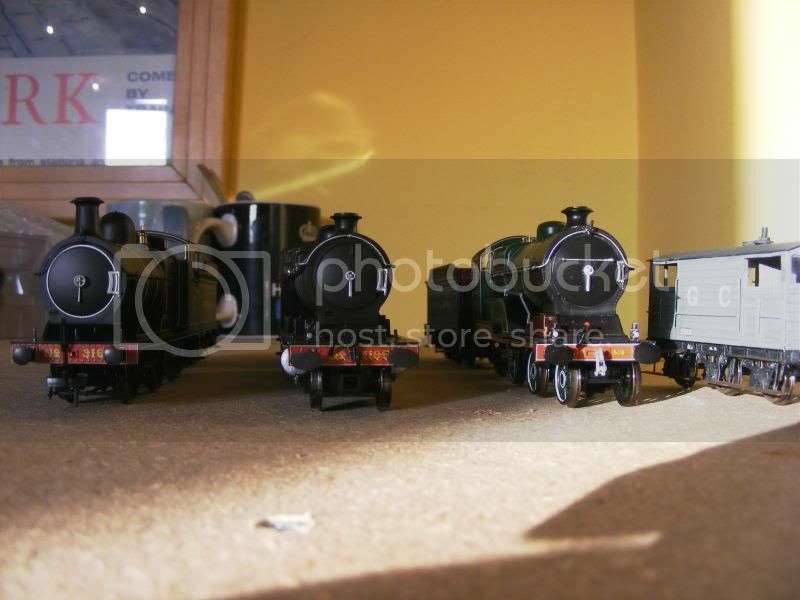 It's alright collecting locos Peter, but we wanna see 'em on the layout !! Get on with it man !!! or I'll be in my box before you've finished. You getting the hint yet Peter? I suppose I ought to get on with it then really! I've got a free weekend coming up so that'll be an ideal time to get on with it. Stabilising the corner baseboards is the first job to get on with really. Actual real updates on Sunday or else!